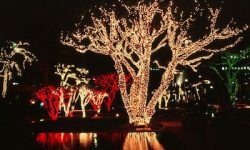 Which grade of Christmas Designers' LED Christmas lights will be the just right lights for you? 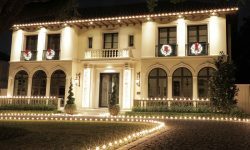 As you likely know if you're already a Christmas Designers’ customer, we offer two different grades of LED Christmas lights: a Retail Grade and a Pro Grade. 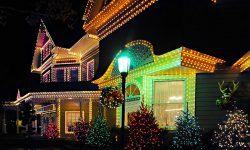 We offer the two different grades of LED lights simply for the convenience of our customers; we want you to have plenty of choices when you're shopping for Christmas lights. But having plenty of choices, of course, means that you have to make a choice. And that's hard to do if you don't fully understand the differences between the options available to you. Most Pro Grade lights are manufactured with a one-piece design. That means that the bulbs cannot be removed from the sockets. While some might consider the inability to remove and switch-out bulbs an inconvenience, it actually offers a huge advantage in durability. 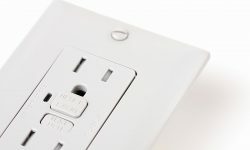 That's because water and debris working into the socket is a leading cause of light failure, and the one-piece design helps to prevent that problem from occurring. The one-piece design is a primary factor in making Pro Grade lights so much more durable than Retail Grade lights. In fact, Pro Grade bulbs are rated to last for an astounding 75,000 hours - far longer than a typical light set is likely to be in use. All of the components that go into the manufacture of LED lights are available in a wide range of quality and price. And every manufacturer of LED lights must decide whether to focus upon quality or price. Those that choose to focus upon quality will select the higher-grade, more expensive components for their lights. And those are the lights we sell as Pro Grade lights. It's a matter not only of durability, but also of quality. 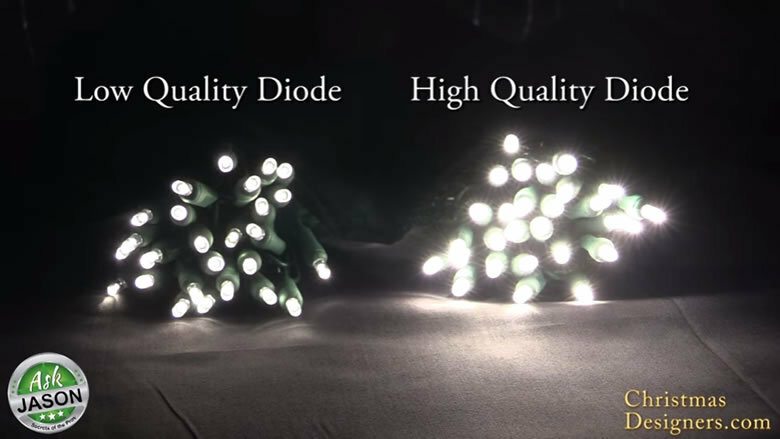 Because the difference in the visual quality of the diodes used in the manufacture of LED bulbs can often be quite apparent. All LED lights cycle on and off many times per second. Full-wave lights cycle on and off twice as fast as half-wave lights. That can make a considerable impact on the visual quality of the lights. All Pro Grade lights are full-wave lights. 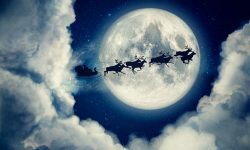 On average, you can reasonably expect Pro Grade lights to last for around 6 to 8 years - more than long enough to defray the extra cost of the lights on a per-season basis. We offer a full 3-season warranty on all of our Pro Grade lights. Retail Grade lights are manufactured with a two-piece design. That means that you can remove the bulb as needed to replace the LED diode. But that's a good-news/bad-news scenario, because you're far more likely to need to replace failed diodes on Retail Grade lights. And the two-piece design tends to allow water and debris to seep into the socket - a common cause of failure with Retail Grade lights. As noted above, manufacturers choose high-quality (but more expensive) components for Pro Grade bulbs. And conversely, manufacturers select the cheapest components for Retail Grade bulbs to keep prices down. The cheaper components do result in a payoff for the consumer in the form of lower initial purchase prices. But those low-cost components also tend to fail much sooner than the pricier components used in Pro Grade bulbs. And there can also be a noticeable difference in visual quality. Retail Grade lights cycle on and off half as frequently as Pro Grade lights. It makes a difference in the visual quality, often noticed as an obvious flickering in Retail Grade lights. And some people even experience headaches from the flickering apparent in half-wave rectified Retail Grade lights. You can expect Retail Grade lights to average about 2 to 3 seasons. Over time, that means you'll likely need to buy 2 to 4 sets of Retail Grade lights to match the lifespan of a single set of Pro Grade lights. We offer a 45-day warranty on all of our Retail Grade lights. So…Have You Made Your Decision? 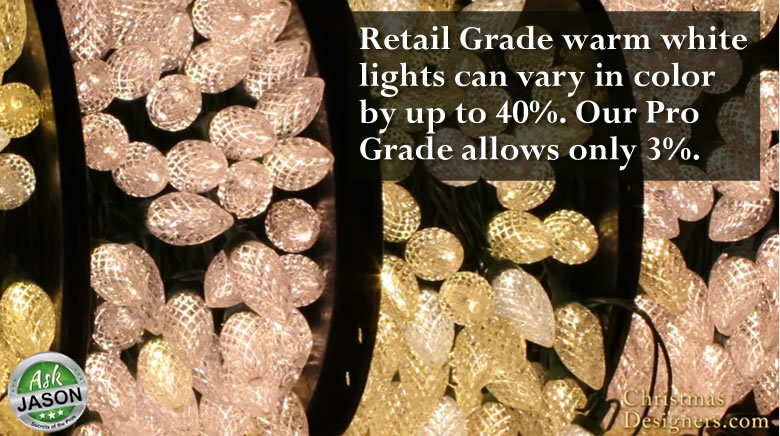 Now that you know the difference between Pro Grade and Retail Grade lights, is it clear which would be best for you? 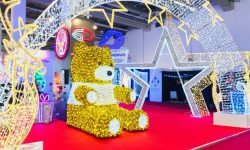 In general, people who value short-term cost over long-term quality and durability tend to choose Retail Grade - even though long-term costs may actually be greater with Retail Grade lights. And conversely, people who want the best-looking, longest-lasting lights that offer the greatest long-term value will generally choose Pro Grade. 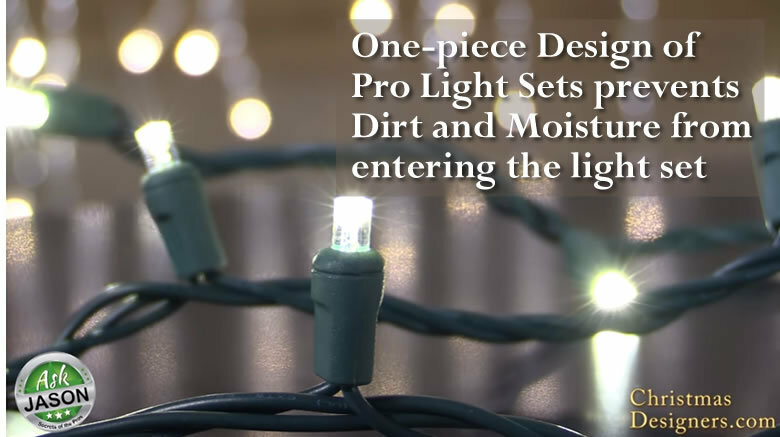 (And pro Christmas light installers always choose Pro Grade, of course!). Hopefully this little tutorial has helped you decide which grade of lights will best suit your needs. Because considering today's date, there's not much time left for fence sitting. Whichever grade you prefer, it's time to get those lights ordered!